This spring, BASOC is offering an Introduction to Orienteering course over 4 weeks. Sign up here, or read on for more information. We would like to welcome you and your family to three Tuesday evening coaching sessions from 6.30-7.30pm. These will take place in Nethybridge on 30th April, 7th May and 14th May. Places are limited to ensure you will get the most out of your coaching. 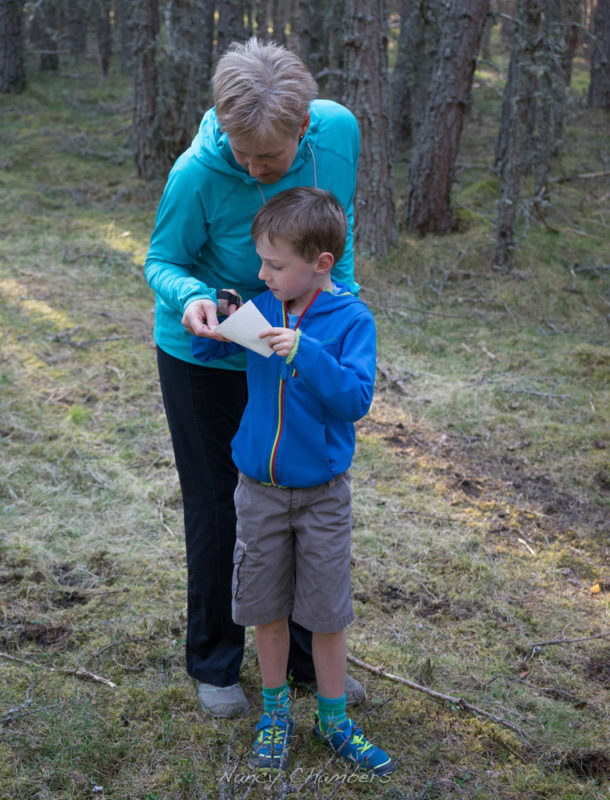 The 4th and final session is on Sunday 19th May at an Orienteering Event in the Highland Folk Museum in Newtonmore; the grounds have been specially mapped. You can register between 1.30 and 3pm and it finishes at 4pm. Come and have fun applying your skills. The cost for the whole course is £15 for one person and £25 for 2 or more people from the same family. All children under 16 must be accompanied by an adult. The sessions will be outside. All you need to bring is trainers, warm comfortable clothing if it is cold and a waterproof jacket if it is wet. Everybody who attends the 3 evenings AND the Saturday event will receive a free membership of the Scottish Orienteering Association and BASOC for 2019 (worth £13 per adult). The benefit is you get information from BASOC about all our training evenings as well as events locally and nationally. You are also insured by the Scottish Orienteering Association when going to any orienteering session or event across Scotland. If you can't attend the coaching, please come and join us at the Highland Folk Museum in Newtonmore on Sunday May 19th and have a go. Or join our usual Tuesday evening training sessions which are listed on our website. Just turn up to any of these activities - you don’t need to book.